I've met many people on my journey as an artist, who have said things to me like: "I wish I could do what you do", or "Oh no, I can't draw, I'm hopeless!" Further conversation would lead down an increasingly familiar path; someone had told them they were no good when they were younger, they'd not had the support or encouragement to follow their dreams (even for fun or as a hobby never mind as an actual career choice). Others had just grown up, family life and demanding jobs taking up most of their time until slowly, and without realising, they had simply stopped making art. I always try and encourage people to give it a try, to carve out a little space to have a go, but I'm often met with a wistful gaze, a shrug of the shoulders and a resigned smile, or a definite No. I kind of understand, a resolute "No" often hides low confidence or zero self belief. 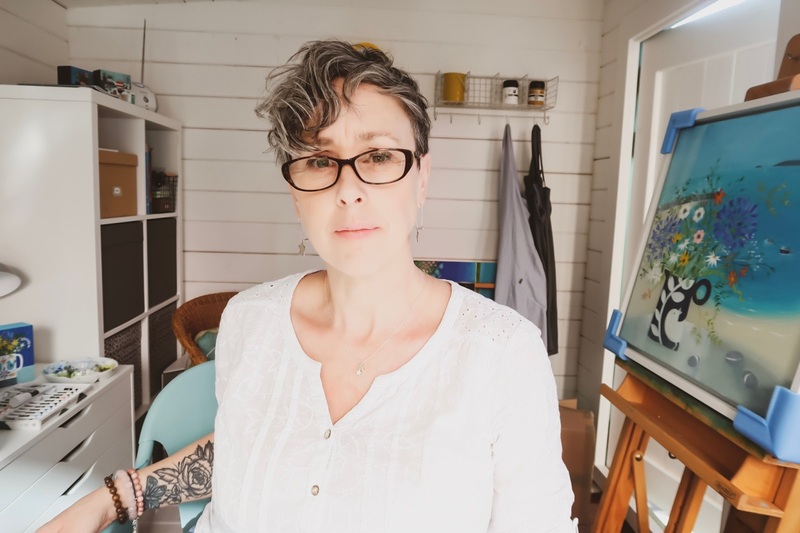 Hadn't I been the same, back as a naive eighteen year old college student, when my art tutor had told me that I was never going to make it as an artist? Hadn't I gone home that day, flattened by her words, shocked and unable to compute what to do with my life? 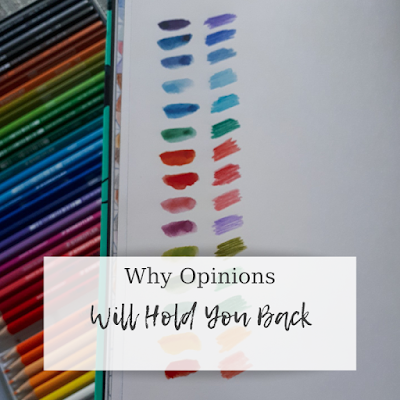 Didn't I go into my room that evening, and slowly put all my things away in a cupboard, the grief of realising I was no good - never would be - making the idea of touching my paints and drawing things again practically impossible? And when anyone asked if I'd painted anything recently, didn't I say No? And it took a few years before I felt the courage to venture into trying again. Because of that comment, I made different choices in life, I spent the next six years working in an office for the NHS, in the salaries office no less (my maths grades left a lot to be desired, and it was my least favourite subject at school). I used to get feelings of nausea on a Sunday evening at the thought of Monday morning, yet I didn't have the courage to leave, I tolerated the long, slow hours because it paid a good wage which allowed me to buy nice clothes, and a car. I lived for the weekends but that's no way to live a life. I look back now and feel sad for my younger self, sorry that she didn't understand that those comments were just somebody else's opinion, that didn't make them right or wrong and that I still had a right to try and follow my passion even if somebody else disagreed. I wonder now how many other people have had similar experiences, at the hands of someone we look up to and respect? I'm learning there are many of us. Some of us manage to find our way back, the passion and need to create finally resurfacing somewhere down the line, as it eventually did for me. I eventually left that office job and went to University in Devon, eventually graduating as an interior designer. I went on to run my own creative businesses for the next 19 years - the first one as a sign writer, the second: an artist. For others though, the barriers are just sometimes too difficult to overcome. Pain, hurt, fear and shame all block the path to trying again, and this is the reason that I created this course. I wanted to create a toolkit for people who wanted to make art a part of their lives again but were too afraid or stuck; to teach them that they can and to share the skills I use myself to this day when I'm stalled by self doubt, or fear, to enable them to do so. Creative Confidence is designed as a self paced Workshop which you can access from anywhere in the world, it's a short course with gentle guidance and journal style prompts with spaces to write. For me to teach what took me many years to learn, to help people overcome their fears and negative beliefs, brings me a lot of pleasure. To know that this may have helped just one person would have been brilliant, but it's reaching and helping more people than I could have imagined. This isn't about turning your life on its head, ditching your job and responsibilities to become a full time artist. 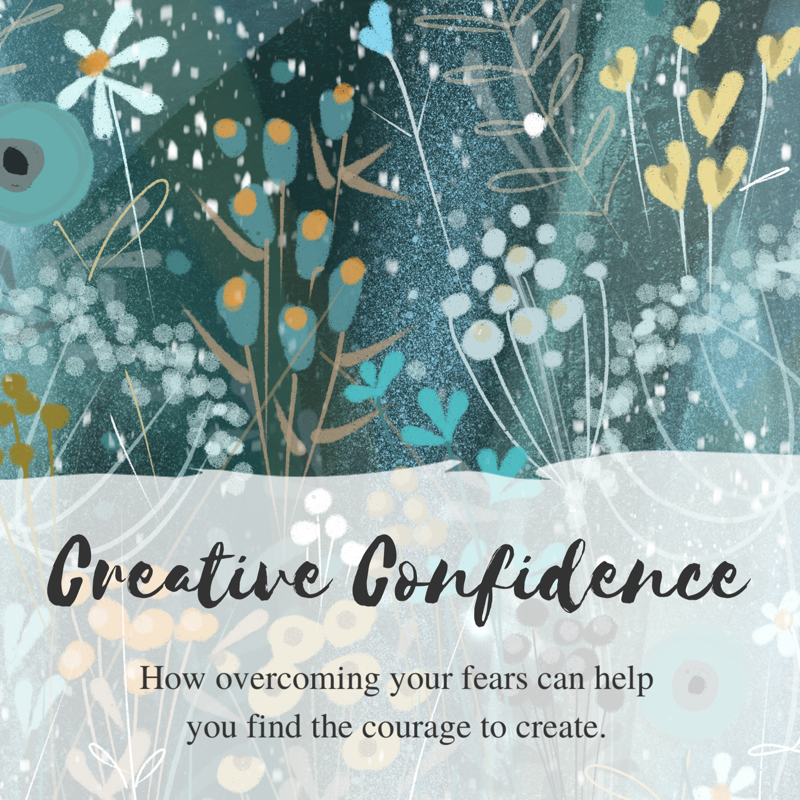 It's about allowing yourself the space within your current circumstances to explore the possibilities of what might happen, to make space in your busy life for creating, to pursue your curiosity, to cultivate confidence and to find the courage to try making art again. 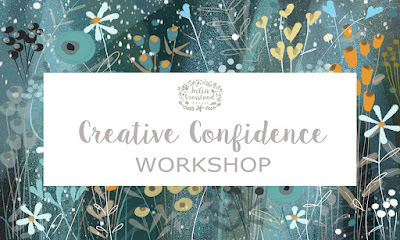 The Workshop is available now, and is an ongoing course which you can access when you like. Once signed up you have lifetime access as long as the course is live. 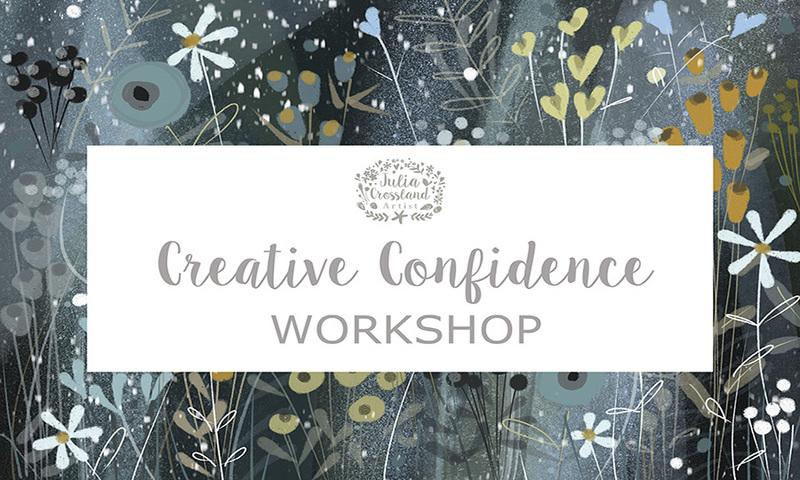 If this sounds like something you would be interested in, you can find out more about my Workshop here. Have you ever put off doing something because you feel afraid of it? Or it might feel overwhelming or uncomfortable? 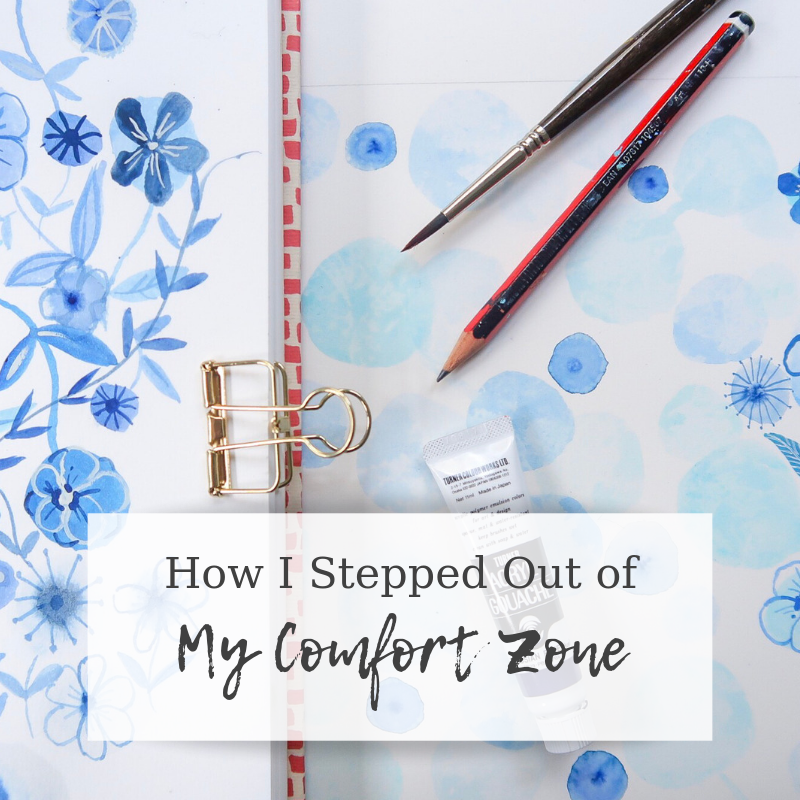 Stepping out of our comfort zone to do something new can be all of those things, and just recently I made the leap and tackled something I've been putting off for ages. Today it seems everywhere you scroll there are videos and livestreams, I'm reading blog posts about how it's the best way to communicate with your customer, and how it's the best way to move your business forward. And yet, it scared the hell out of me. So many things to contemplate...first of all, where would I start? There was so much I didn't know, and so much to learn. I felt out of my depth watching tutorials on You Tube, and the tech side of it, uploading and editing...well, the sheer volume of knowledge required actually made me shut off my laptop! So, what did I do? For a long, long time I shelved it. I joined Skillshare and watched a couple of good classes and felt the stirrings of excitement and possibility, but when it came to physically getting started, I just couldn't do it! I wrote notes and ideas down in my biz journal - and they sat there unused for weeks. That is, until I had a coaching session with Claire Sheehan. Claire is an artist and coach, and we had a session a couple of weeks ago where she helped me take down some of the blocks I'd created for myself. She was very helpful in getting me to see the bigger picture. Instead of launching into an overwhelming, full on video series, Claire encouraged me to make something short and easy, for fun. Right away the pressure to create something polished and professional disappeared. And also, I could also see how I'd set this unachievable standard, of making my very first video and it looking like something produced by Universal Studios. It's fascinating how we build walls around ourselves to protect us from the unknown. It feels so comfortable and cosy plodding along in our own predictable way, doing what we know we're good at, yet it doesn't take us any further than our own self made boundaries. The thing is, we have to learn as we go - it's part of being a human! We were not put on earth to stagnate and live a dull life. We have to be able to say to ourselves, you know what? This is my first attempt and I'm going to give it a go. I will most certainly make mistakes, but I will learn as I go on, and if I keep on practising I'll get better at it, I'll gain more confidence, develop new skills and my 'thing' will be amazing. I think back to how I first started with my art work, and it was nothing like what it is now! I sometimes find old pieces of work that make me cringe, but I also feel proud of myself for deciding to have a go because if I hadn't, I wouldn't be where I am now. The main stumbling block for me, and I think this applies to all of us when we feel stuck around creating something new, is the fear of looking like an amateur, of people laughing at us or criticising us for our efforts. Am I right? Looking like we don't know 'all the stuff', feeling like the new kid on the block...it creates barriers of fear and self doubt and this can be paralysing. I can see now that I was never going to start making videos with so much emotional baggage! Claire showed me that choosing to create something small, and for fun, removed the need for it to be perfect. I am planning on doing more videos so you're welcome to subscribe to my channel if you wish to. The experience of filming out and about, as well as in my studio was a really good experience. I found out that I thoroughly enjoyed doing it, working out scenes in my mind and scripting it all. I played around with editing the video in Photoshop, but sadly with the age of my laptop (it is sloooowwww) and so much to figure out, I chose to edit it on my Ipad using IMovie which was so much fun, and so easy. I am actually now contemplating doing a bit of Vlogging - yes, that's right! I am so excited by this whole new world that has opened up for me and cannot wait to do more! This has also made me realise what I might have missed out on by not trying. If your project or idea feels massive, break it down into small, achievable goals. Do not worry about looking like a novice, all the best people started somewhere. Start with what you've got and give it your best shot. Remember, there's no written rule anywhere that says it has to be perfect. Think back to something you have achieved in life, think about something that makes you feel proud. 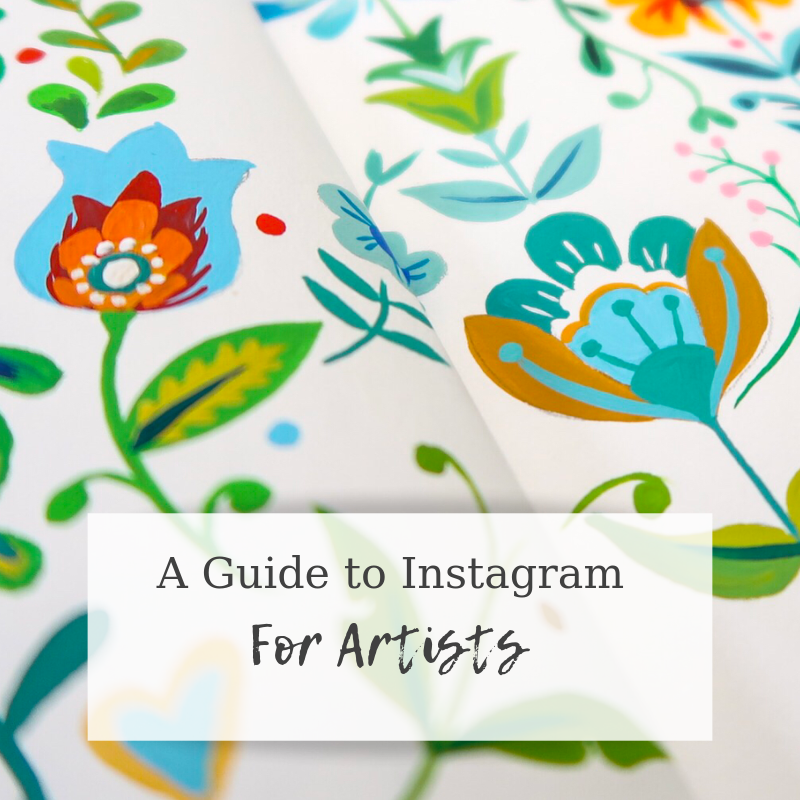 I thought I'd share a few handy tips for using Instagram if you're an artist, and how to get the best from it for you and your business. The main reason I use Instagram is to share my work and life as an artist, it keeps me connected to people who follow me and keeps people up to date with what I'm doing. For artists it's a brilliant social media app as it's so visual! However, there's more to it than just posting a few random pictures (which is literally what I used to do). Let me explain. My first bit of advice, and one that seems to have made the most noticeable difference to my feed is to use a real camera to take your pictures. I know that most phones have pretty decent cameras these days but I can honestly say that since switching to my Canon G7X the quality of the pictures is 100% better. Although this isn't a cheap camera (I saved up and upgraded from a pocket Canon last year) it has wifi which means I can upload images right to my phone or Ipad for easy editing in the Lightroom App. This is by far one of my favourite editing apps, and you can easily find a free version to pop on your device. I really enjoy the editing process, and Lightroom is easy to use if you're a beginner but at the same time, gives your images a real professional finish. The second piece of advice is to make sure that you keep your pictures relevant to your business and what you do. Most of my feed is pictures of my work, either works in progress or finished shots. I also take pictures in the studio or of myself working. To help give people a bit of an insight into my life I will occasionally add in scenes from places I've been, or found inspiring, but not too many. I suppose what I'm saying is that, if you're a painter for example, you don't want to cause too much confusion and have people wondering what your brand represents if your feed is peppered with lots of family shots and pictures of your dog. Unless that's relevant to your brand, and you paint dogs. Then that's OK.
Instagram Stories is actually a good place to post things that you don't want littering up your feed, for example, you might want to share that you're at a great exhibition, or of you out and about having coffee etc. For this I tend to use mostly pictures I've captured on my phone. I like to edit them in the Canva app as it has some really nice fonts - just choose the blank background and upload your own photograph, add text and graphics and away you go. I also like to use Stories to chat about promotions or things to do with my biz now and then. It can feel a bit daunting at first but look right at the camera lens (not the screen) and imagine you're having a chat with your best mate and you'll be fine. Stories is a great facility to help people to get to know you more, and to see other 'behind the scenes' elements of your life as an artist. When it comes to posting, I try and mix things up a bit, so rather than it become a steady stream of close up shots of my work, I'll maybe include an overhead shot of my desk space, or of something on my easel. 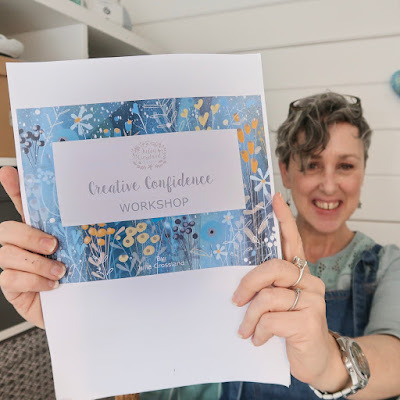 I also pop in pictures of myself at work because people seem to like this, and it does help to create a connection between you and your customers as they can put a face to the brand. If you're a bit camera shy, consider getting a side shot of yourself at work, this is a fairly good compromise as you're not having to look right to camera which I know can feel a bit disconcerting at first! When writing text under your pictures, try and keep things interesting and engaging. Maybe you could explain a bit about your process, or share which materials you used. Don't be afraid to be chatty either and ask questions which gets people interacting with you. It's also important to create a short Bio so that when people visit your feed, they can find out a bit more about you. Use this space to tell people what you do, tell them where you are and provide a link to your website. You can also install a tool called Linktree to send people to specific locations, such as your Blog or Etsy shop. Another important tip I'm going to share is about the emotional side of using Instagram. It is SO EASY to hop onto Instagram and within minutes you've got a serious dose of comparisonitis and all kinds of feelings can get churned up. It's certainly happened to me before, but now I can detach emotionally, aware that the pictures I see are snapshots of a single moment of someone's life, as behind the scenes things can be very different and we never truly know what that individual is going through. Similarly, with a business profile on Instagram you need to remember that when you are sharing, you are sharing as your brand - not you. So if someone unfollows you, or reacts negatively to something you shared it's a reaction to your business and not you personally. Whenever you post, think about curating your feed to best represent your brand, keep it interesting and mix it up. Last of all, my advice is to be authentic and always be you. Don't try and be someone else, but rather let your personality come through in your words and pictures, that way you will be sure to attract the right sort of people (potential customers who love what you do) to your Instagram account! I hope you've enjoyed this post, I'm going to share more about using social media for your business soon. "Oh, no I wouldn't do that"
"That sounds risky/expensive/dangerous...have you thought this through??" And as soon as you get this feedback, literally within a split second, your idea crashes and burns, you feel your stomach go into free fall as the negative feelings of worry and doubt descend. You start to think "Are they right? Well, you know they might have a point...it could be risky, I might waste a lot of money doing that...and what if I'm awful at it after all the effort? You know, it's probably best if I just forget it" and you talk yourself out of the incredible thing you wanted to do, because someone told you it wasn't possible. And the problem is, because we respect this person (parent, friend, partner, sibling, tutor etc), we value their response, and we are anxious to hear their thoughts and get their blessing on our new venture. What we tend to miss in this exchange is a vital detail, and this is why other people's opinions will hold you back. That person giving you the advice, or questioning your ability? They're not you, they don't have your abilities and they don't have your vision. You need to remember that at this point, they can't see the possibility or the 'how', they haven't got your passion or enthusiasm for this thing, and they want to protect you. Their fears and limiting beliefs will instantly come to the surface and because they don't want you to fail, they'll try and talk you out of it. You might want to take a painting class, go travelling, or launch a new business. It is essential that before you tell anyone about your big idea, that you feel confident enough to resist the naysayers, because I can guarantee you will come up against them, and most surprisingly it'll be the ones who know you best and care about you the most that will be the ones to do this to you. It's quite hard to ignore advice when it's well meant and from someone you respect, but you have to look at the bigger picture and decide what you want your life to look like. Do you want it to look like theirs? Probably not. Do you want to grow as a person, enjoy new experiences and live your life so it looks the way you want it to? Of course. And so you need to learn to breeze past the opinions of others. Ok, so what if it turns out that they're right, I hear you say. What if, their sound advice turns out to be dead on the nose and they turn around as you fail and say 'I told you so'. The fact is, you tried. You had a go, you gave something you wanted to do your best shot. Isn't that better than languishing on your couch and wondering 'what if?' People who want to succeed in life keep trying. They get knocked back, make mistakes but they pick themselves up and start again. Learn to be tenacious, if you really want a thing, keep at it until you get it. And of course, on the other side of the coin there's always the option of not failing, of going for this thing and achieving it, ramping your life up a gear and living it in a way that makes you feel happy and good. I was on social media a couple of days ago, scrolling through and admiring all the beautiful pictures and I thought, wow...this all looks so wonderful and...well, perfect (which of course it does, people usually only share their best images with us). And I thought, I wonder what my feed looks like to other people? 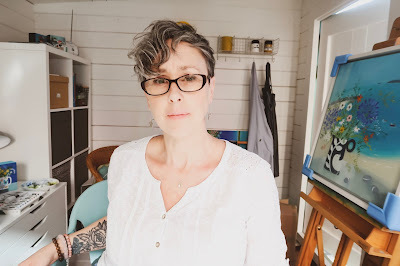 It shows me painting in a nice studio, I share pictures of places I've been, my work in progress. I suppose thinking about it, to some people looking in it might look like a fairly peachy lifestyle going on there. 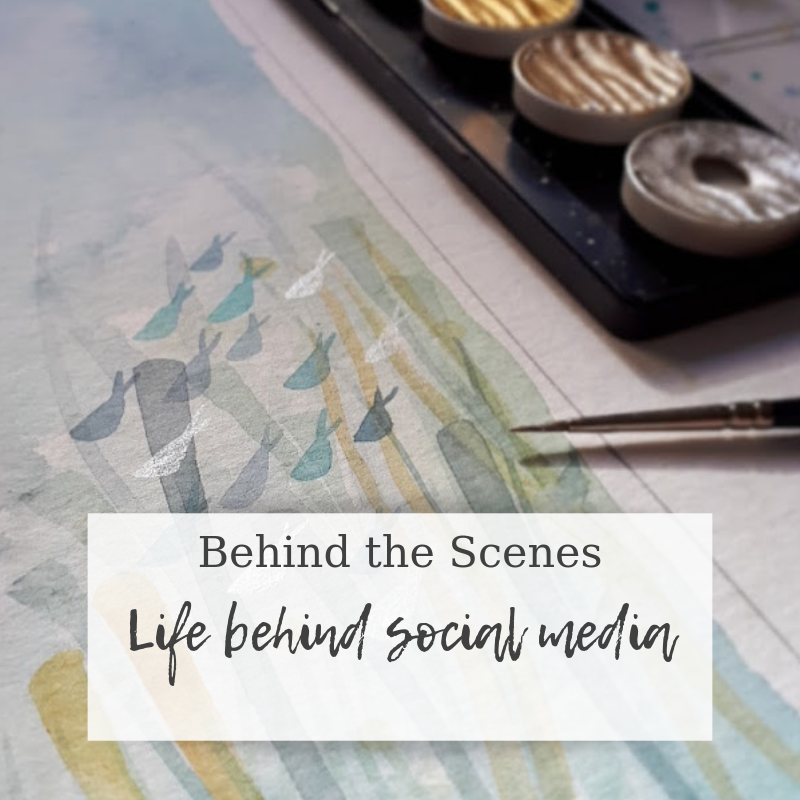 So it led me to write this blog post today, to share a bit from behind the scenes. In real life, I live in a small terraced house, built in the late 1800s on the edge of a village near the Pennines (this is a vast area of wild and bleak moorland in the north of the UK). I often dream of living by the sea (and one day I will again) - the amount of people over the years who have asked me if I live at the coast is amazing - I'm guessing it's all the coastal work I've done that might make somebody think that, but no, we have a humble little house with a leaky back door and a broken gutter that for now, is home. I try to organise my day as best as I can so that I'm making the best use of the time I've got before my daughter comes home from school. Some days are great, and I feel very efficient and on the ball. These are the days where I might do a couple of social media posts, and a bit of work in progress films for my Instagram Stories. I enjoy my days when they are full and rewarding, I like to cook and take walks, notice the small stuff like flowers blooming or a sudden sky full of swallows diving and swirling above. Other days don't look like that. I sometimes struggle with fatigue and migraines, and instead of pushing through (as I used to) I have learnt to allow time to feel better and practise a bit of self care to replenish the energy levels. On days like that it can feel frustrating when all I want to do is crack on, but in the long run I know that a rest, a bit of yoga or a nice walk with my family will pay dividends. I sometimes get anxiety or feel a bit flat, especially in winter. Winter is my nemesis and each year I try my best to navigate this difficult season as best as I can. In the last few weeks I have instigated a new routine of walking three times a week, whatever the weather. I tend to develop hermit like tendancies come January, but I am committed to keeping this up, and on really dark days will perhaps go swimming instead. Some days, I don't have any inclination to paint at all. 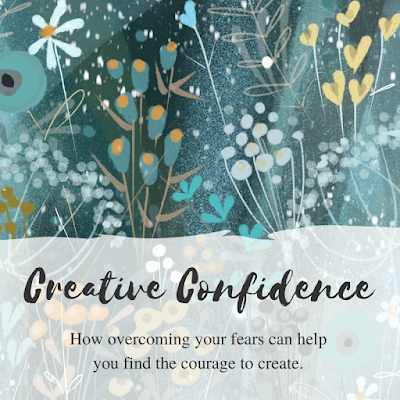 As I shared in last weeks blog, creative funks can appear out of nowhere and at first are disconcerting and the cause of much anxiety as I fret and worry over what's going wrong. Apathy is an unwelcome visitor and at times like this, the last thing I want to do is post pictures of my work, as I feel so detached from it! It's something I'm learning to handle, rather than dwelling there for too long, but it still knocks the wind out of my sails when it happens. I have an eleven year old daughter who has just started high school. She is an absolute sun beam but like all children, has her own growing pains which need tending to. Family life is very rewarding but it can also be super challenging at times too. Hurdles still show up for me, and they will continue to do so, because that's life. It's a journey of highs and lows, and we are always going to find ourselves in negative situations with people, or just with ourselves and our own state of mind as we go through life. These moments for me are not instagrammable, and to be honest, I wouldn't enjoy scrolling through my feed if it were full of depressing content! I like to feel inspired and uplifted by what I see. These days I recognise when I need to detach from social and give myself some breathing space. I leave well alone for a bit and come back when I've got something positive to share. I'm not going to start posting super personal or depressing stuff on my social channels because I don't think it's professional or relevant to why I'm on there, my aim is to inspire people by what sharing what I do and how I do it. I suppose the main message of this post is a gentle reminder that behind every photograph is a real person (even I forget sometimes as I compare my life with the photoshopped perfection that I see daily). Social media is a place where people share their best bits, and it's wise to remember that as we scroll. I am inspired by the coast and countryside, creating illustrative pieces of work bursting with colour that lift the spirits! 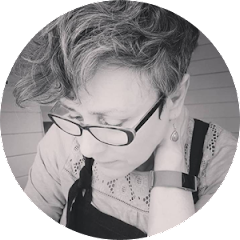 My blog is my online journal, where I write about my life and share the ups and downs of working as an artist. 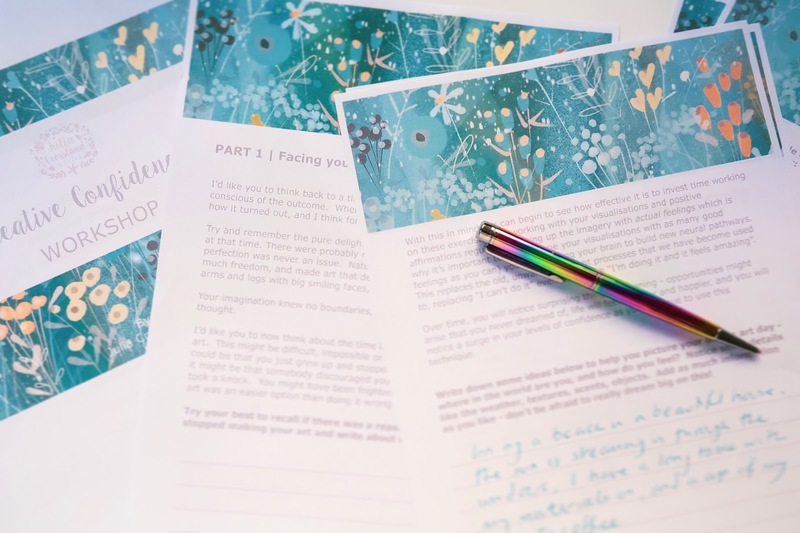 You will find inspiration, creative business guidance and stories from my studio. I hope you enjoy your visit here. All content on this website is the copyright of Julia Crossland, all rights reserved. 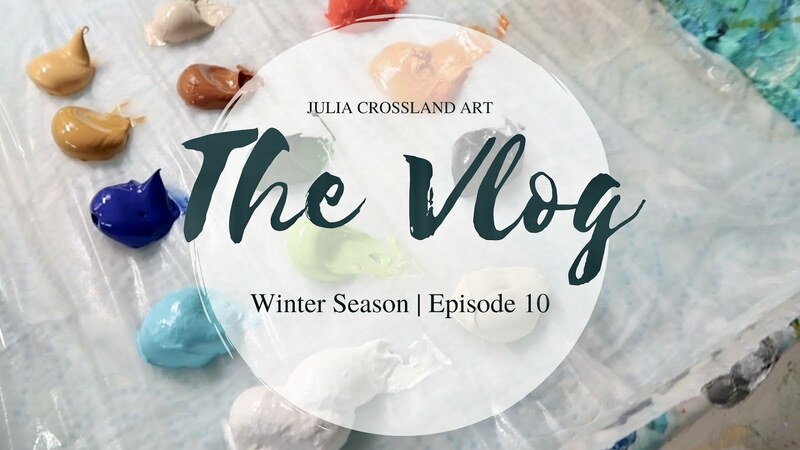 No aspect of this website is to be reproduced in any form without the prior consent of the artist, Julia Crossland. Copyright Julia Crossland Art. Simple theme. Powered by Blogger.